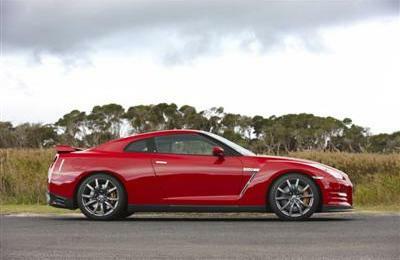 The 2012 Nissan GT-R, which goes on sale in Australia next week, offers significant enhancements in efficiency, performance, handling and driver comfort, combined with a increased equipment level. Nissan’s fourth-generation R35 flagship model follows the evolutionary programme set out by GT-R Programme Director Kazutoshi Mizuno, building on the model’s strengths since it was launched at the 2007 Tokyo Motor Show. When it was launched, the R35 Nissan GT-R made for a new class of super car. While performance and handling were exceptional, as expected, the real achievement of Mizuno and his team was to make the car's immense potential accessible to all drivers under all conditions. They have since taken the Japanese concept of Omotenashi (hospitality) and turned it into an automotive art form, with obsessive attention to form, function and detail. As a result, every aspect of the 2012 Model Year GT-R has been identified, examined and, where possible, enhanced. The latest GT-R celebrates the 20th anniversary of Nissan’s second and last outright victory in the Bathurst 1000, achieved in 1992 by drivers Mark Skaife and Jim Richards in an Australian built and developed R32 model Nissan GT-R Skyline. The very heart of the Nissan GT-R, its engine, has been further refined in the new model. Both intake and exhaust efficiency have been significantly improved. The matching of the ports of the intake manifold and cylinder head is now even more precise, while the intake duct is now made of resin rather than aluminium. These two developments have decreased the resistance of airflow to the engine, thereby increasing its performance. New metallic sodium filled exhaust valves contribute to improved cooling and suppresses knocking. Exhaust efficiency is also improved through the development of a more compact – and lighter – underfloor catalyser. By making the air/fuel ratio leaner and optimising the valve and ignition timing, the engine has achieved even greater efficiency. In addition, the clearance of the cams and valve heads is now achieved with greater precision. Through these improvements in efficiency, power output has risen significantly from 390 kW to 404 kW at 6,400 rpm while maximum torque has increased from 612 to 628 Nm between 3,200 and 5,800 rpm. Because the torque curve is flatter at higher revs, the engine has a distinctly more 'muscular' feel than these impressive figures alone convey. More than an evolution, it feels like a completely different engine. This greater efficiency is also reflected in the 2012 GT-R’s improved fuel economy, which has decreased from 12 L/100 km to 11.7 L/100 km, combined with reduced emissions. These gains have been maximised by even more precise assembly of the GT-R’s 3.8-litre twin turbo V6 engine, with a select team of just eight people authorised to complete each power plant, built one at a time by the same individual craftsman. Finally, each completed car is hand-polished before leaving Nissan’s Tochigi factory, completing the GT-R’s ‘hand built’ credentials. The shift feel and quietness of the Nissan GT-R’s six-speed dual clutch transmission have both been refined thanks to a strengthened design of the shift fork arm and a firmer fixing bearing for the flywheel housing. A special differential oil R35 Competition Type 2189E (75W140), which was developed for competition is now used in every version of GT-R.
To exploit the 2012 GT-R’s greater power and torque, certain areas around the rear part of the engine compartment and dash panel have been reinforced to deliver more responsive handling. 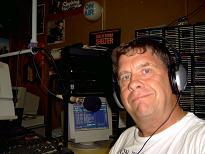 As a result, a greater sense of the vehicle's grip on the road is transmitted to the driver. At the same time, more precise production methods have improved chassis comfort. This was achieved by changes to the positioning of the sensors in the GT-R’s highly-damped vehicle body, and by adding a more accurate acceleration sensor in areas with higher sensitivity to vibration. New Dunlop SP Sport Maxx tyres developed specifically for the GT-R are now fitted to further enhance responsiveness and wide comfort. 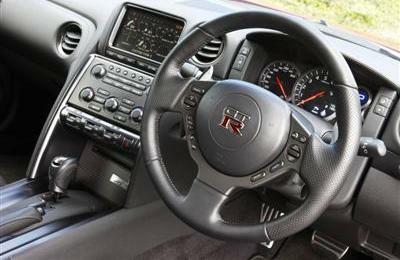 In a world first, the 2012 Model GT-R has been optimised for right hand drive markets. Accounting for the added weight of the driver in a right-hand drive vehicle coupled to the fact that the propeller shaft driving the front wheels in the car’s permanent all wheel drive system is located on the right side of the car, the GT-R's suspension for RHD versions has been set asymmetrically. After lengthy fine tuning, involving testing on the demanding Nurburgring north circuit in Germany, Nissan engineers have achieved the perfect balance of the vertical load on all four tyres. For the front suspension, there are harder spring rates on the left side, while at the rear the suspension arm has been installed upwards on the left side and downwards on the right. This means an imbalanced wheel load when the car is stationary, but which is equalised during driving, providing improved steering responsive and smoothness, as well as further enhanced cornering stability and riding comfort. Previously there was a weight bias of approximately 50 kg towards the right hand side of Australian cars with a driver of average size alone in the car. Consistent with further developing the GT-R’s Omotenashi, the quality feel of the vehicle’s interior has been further upgraded for 2012. The appearance of the instruments has been enhanced by the addition of blue lighting inside the tachometer ring to match the shift position indicator light, bringing a more sophisticated atmosphere to the 'cockpit'. For increased safety, a rear view camera is now standard on Australian models. To further enhance sound quality, the 11-speaker Bose® sound system woofers, have been upgraded to Bose® Precision Sound System woofers that were developed for the EGOIST grade GT-R. The door speakers and woofer in the centre rear are each mounted on a solid aluminium die cast panel to reduce vibration and further improve sound quality. The latest GT-R arrives in the 20th anniversary year of Nissan’s second and most recent outright victory in the Bathurst 1000, achieved in 1992 by drivers Mark Skaife and Jim Richards in an Australian built and developed R32 model Nissan Skyline GT-R. 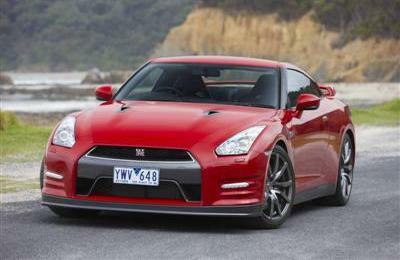 The new model joins more than 420 other R35 model GT-Rs on Australian roads. 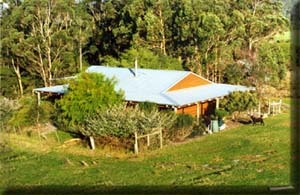 More than 20,000 examples have been sold worldwide since the model’s launch in late 2007. 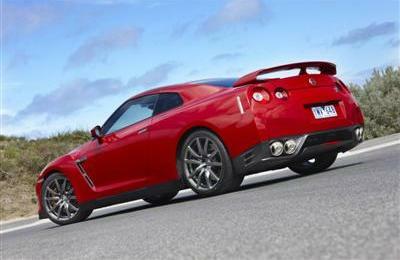 The 2012 Nissan GT-R goes on sale across Australia in late March priced at $170,800*.